Lemonbomb Entertainment is currently making Stranded Sails, an “open world farming game” in the works for Switch. The project is taking inspiration from various games, including Zelda, Stardew Valley, Harvest Moon, and more. 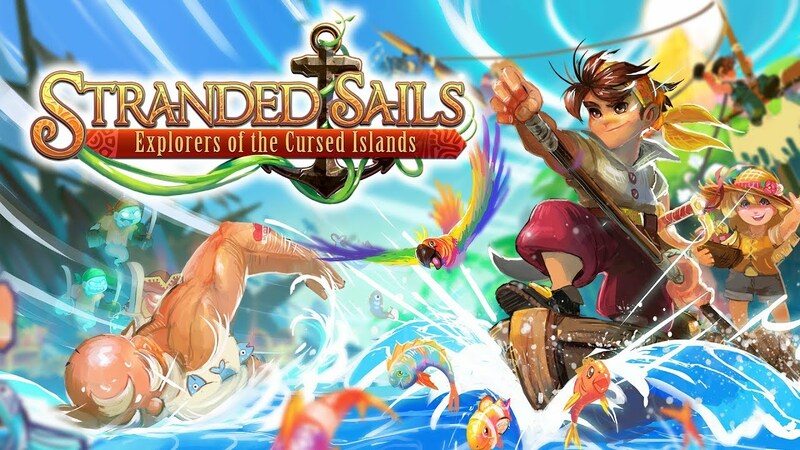 Along with your crew you are ship-wrecked on a mysterious archipelago. As the son/daughter of the gravely injured captain you take charge and set up a camp for the survivors. Since food resources are limited you plant your own crops and establish a small farm. Your goal is to eventually build a new ship. So you search all islands for useful treasures and forage deeper and deeper into the wilderness. On your excursions many exciting quests await you – as well as numerous dangers and threats. Will you solve the secret of the cursed islands? It’s the only way to escape. Awaken the adventurer deep inside! Set up a survivors’ camp and find food resources. Since resources are limited you plant your own crops. Step by step you establish your own farm to feed all survivors and keep them happy in your camp. Only then will you manage to reach your goal of building a new ship and escape from the archipelago. If your crew members are happy and well-fed, they’ll take care of the farming while you’re away exploring the different islands. Using your father’s old navy spyglass you embark on many exploration trips from one island to the other and discover – both along the road and in the thickets – may different useful tools to be used with other materials. And on the different islands new plant seeds and many other amazing treasures are just waiting to be found. To expand your survivors’ camp and make work for your crew a little easier, you can take on various quests in your island paradise. But careful – that island idyll is quite treacherous! You’re not alone with your crew. Some strange threats loom on certain islands! Will you solve the secret of the cursed islands? Because that’s the only way to ever leave them. Stranded Sails is initially due out in Q2 2019 on PC. The Switch version will follow sometime after that.